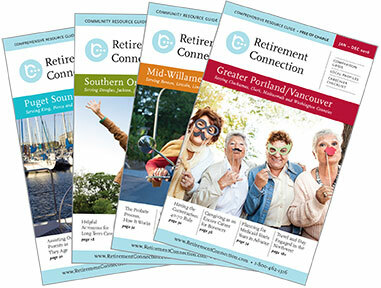 We are in the final wrap up before printing the Portland/Vancouver edition of Retirement Connection Guide. We are confirming all ad placement, comparison grid information calls, and calling each listing for accuracy. If you know of any additional information or changes please let us know as soon as possible for inclusion. The guide will hit the streets in January, but this is the last opportunity to reserve space or make changes for a full year. Save the date for the BIG release Party on January 25th. Topic: What rings your bell? What makes you laugh? What brings you Joy? Topic: What makes a good referral partner for you?